Play a game of handball! Got a sick swat in the three wall ball game? Well step up and take it to the legendary courts of Venice Beach, and let’s see what cracks! 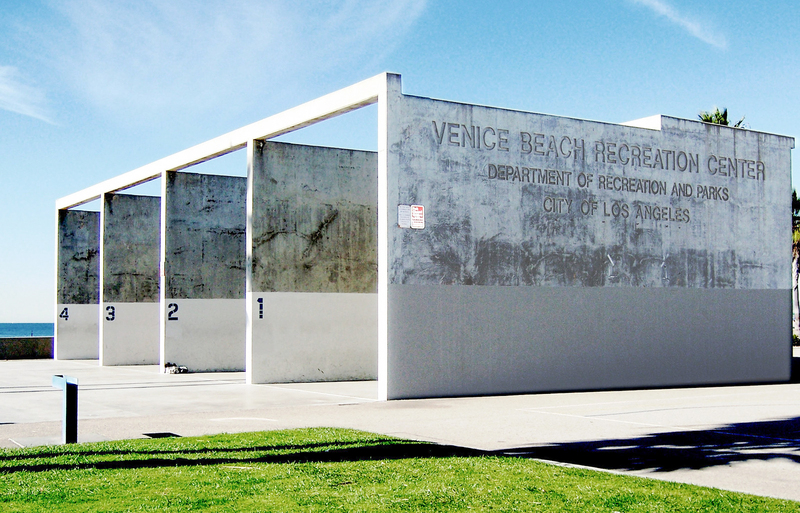 The handball courts are one of Venice’s unique features. Played one one one or two on two, handball only requires a court and a small 61 gram ball. The ball is swatted with an open hand against the wall and then returned, after one bounce, by the opposition. The U.S. Handball Association, the sport’s national governing body, holds tournaments in Venice throughout the year as does the L.A. Department of Recreation and Parks. Handball is a competitive game in which either hand or either fist may be used to serve and return the ball. 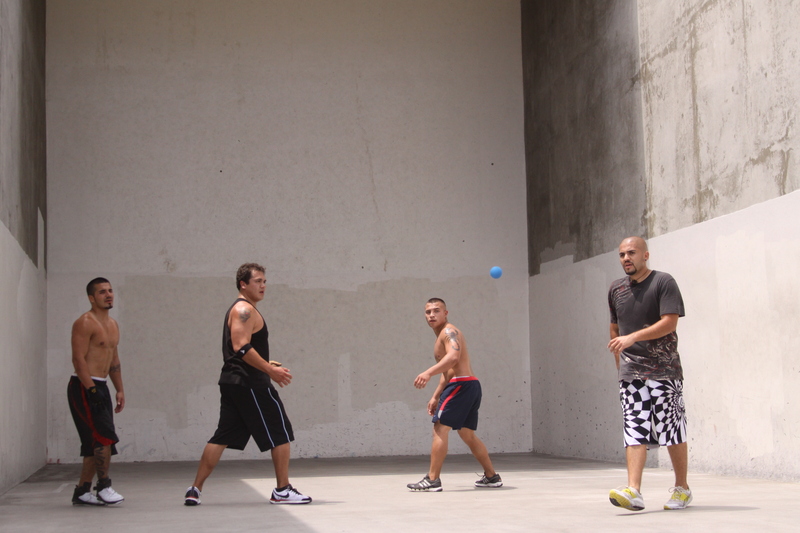 Four-wall handball may be played by two, three or four players. When played by two, it is called singles; when played by three, cutthroat; and when played by four, doubles. The object is to win each rally by serving or returning the ball so the opponent is unable to keep the ball in play. A rally is won when one player is unable to return the opponent’s shot to the front wall before it touches the floor twice, or when a player returns the ball so that it hits the floor before striking the front wall. Points are scored only by the serving side when it serves an ace (unreturnable serve) or wins a rally. When the serving side loses one rally in singles or two rallies in doubles, it loses the serve. Losing the serve is called an “out.” A match is won by the first side winning two games. The first two games of a match are played to 21 points. In the event each side wins a game, a tie-breaker is played to 11 points. Open play. No fee/reservations. First come basis. Tournaments and permits take precedence on the courts. Sept 8-9. Big Blue Classic Doubles. For more Venice Beach Recreation and Park Handball info: Venice Recreation and Parks Center at 310-399-2775. For tournament results, history, rules of the sport and upcoming Southern California handball events, visit www.handball.org. ADDRESS: Venice Beach Recreation and Parks. 1800 Ocean Front Walk. Venice, Ca 90291. Previous ArticleJoin Sustainable Venice at the Venice Sign on March 24th for #LightsOutVenice for Earth Hour!